First State Record of Couch’s Kingbird in New York State! 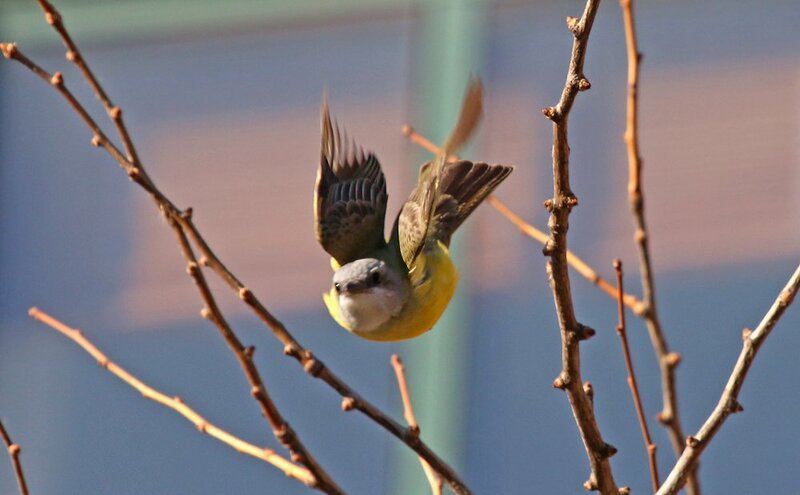 On Christmas, Gabriel Willow, a New York City birder and Naturalist Educator for New York City Audubon, posted a picture of a kingbird on the New York Birders Facebook page that had been sent to him by a resident of the West Village in Manhattan, Zack Winestine. 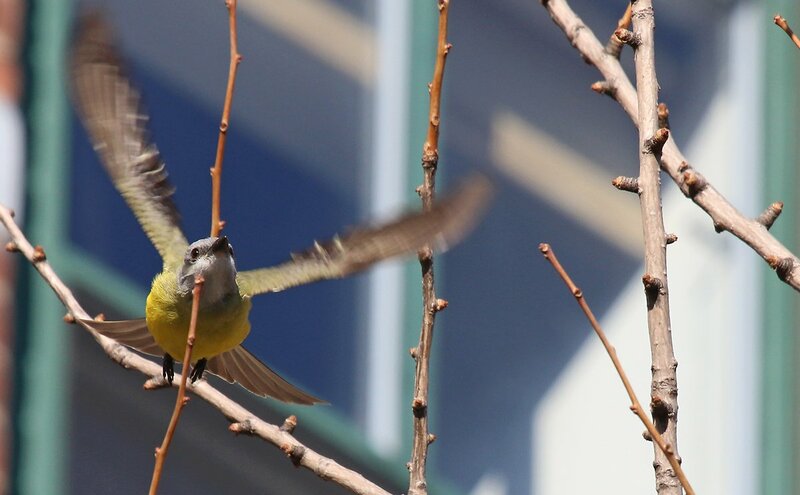 The bird was obviously one of the “yellow” kingbirds, but which was it? The discussion quickly led to either Couch’s Kingbird or Tropical Kingbird, both of which would be first state records. A horde of birders made plans to get to the village at first light on the 26th and they were encouraged by the report from Zack Winestine that the bird had been around for at least a month. 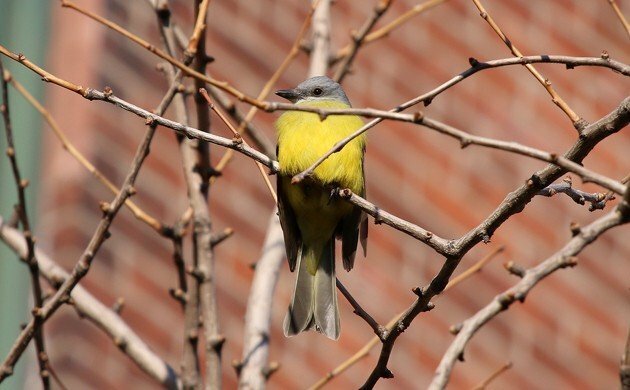 Long story short: the bird was found, photographed, recorded, and enjoyed by lots and lots and lots of birders on the 26th and it was agreed by all and sundry who heard the bird that it was a Couch’s Kingbird, the first ever in New York State and only the third ever to show up in the northeast. You can imagine my chagrin at still being upstate where I had celebrated the holiday with my folks. Fortunately, the bird didn’t seem to be going anywhere and the birders who chased it on the 26th got a better idea of its haunts and habits so this morning I had no problem hopping on the F train, accompanied by Desi, for a quick twitch attempt. After a short wait at the bird’s original location (Washington between Jane and Horatio) we received word that the bird had been refound a short walk away at its other favored location (Bank and Hudson Streets). 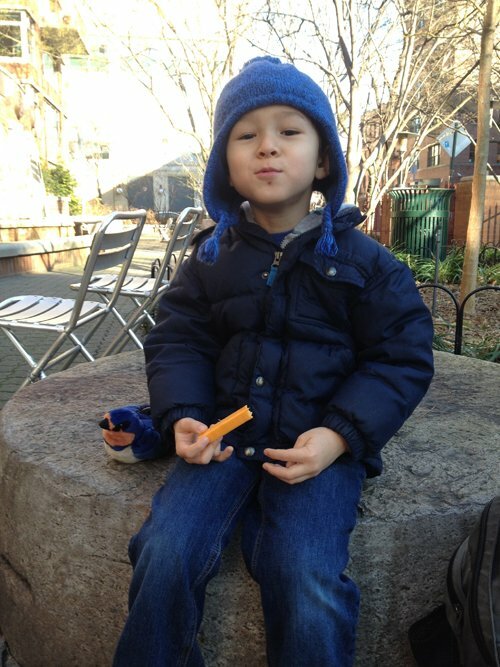 Desi enjoying a cheese stick while we waited for the bird to show. We made the stroll over and enjoyed the bird as it hawked for insects over the street. There were scores of birders present and everyone was happy with the show. Desi was at first as well but quickly got bored. So he played Angry Birds on my phone for a bit while I got a few photos. 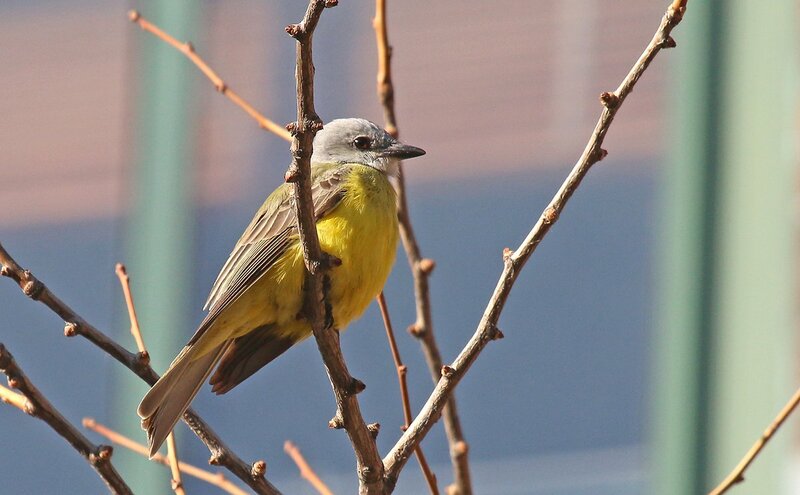 New York State’s first Couch’s Kingbird – in the West Village of all places! What a great way to enjoy a life bird! I didn’t want to bore Desi too much (not that he didn’t enjoy seeing a Couch’s Kingbird but a five-year-old is only going to take so much) so we headed back to the subway, stopping only for some celebratory donuts. Donuts and rare birds – now that’s a combo!